I can see it in his eyes! That is one cute kitty. I love his little gray nose in the middle of all the white in his face! LOl. I was just having a discussion on Thursday night with friends about how cats get their butts wiggling like they’re revving up the engine. Too cute. 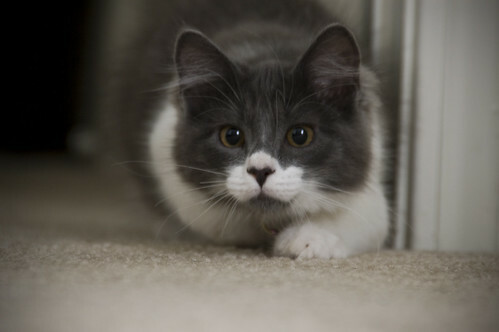 You can see the pounce about to happen – so cute!